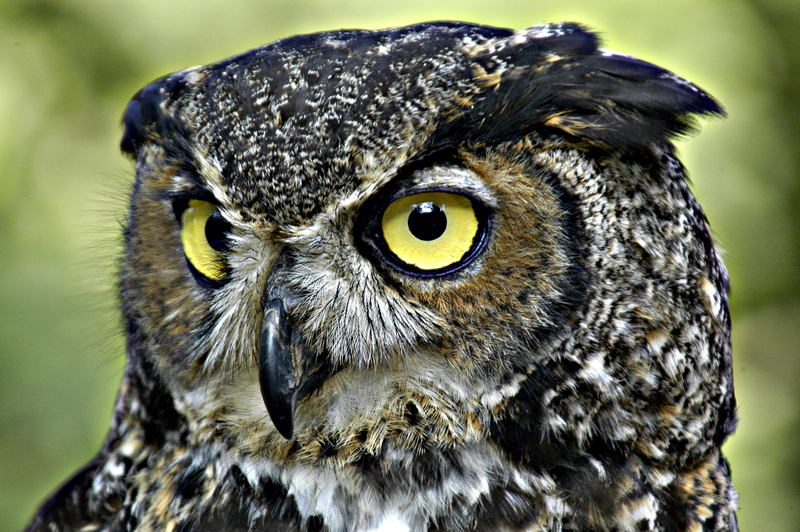 Entertaining, enlightening and enormously enchanting – if you are currently sat at your computer with a cold cup of tea, desperately searching for a summer day trip that embodies all of the above, then stop that inane clicking and look no further than the Owl Experience at Ladds Garden Village. Based in the picturesque county of Berkshire, the fur and falconry centre nestled within this quaint garden village is guaranteed to entertain a nature loving audience from sixteen to sixty year olds. I was kindly given this experience as a Christmas present from one of my siblings and was accompanied by five other family members, our ages ranging from early to late twenties. I can guarantee we enjoyed the day just as much as any of the other young and eager participants. There were numerous signs politely asking people to refrain from putting their fingers through the mesh wiring, which seems to happen more than you would think (“one man picked up his child and stuck the boys hand through the fence into the hawk cage”). After waiting a few minutes and admiring the curious birds in the surrounding area, we were warmly welcomed by a friendly and professional falconer as well as an even friendlier cocker spaniel and a rather tubby Labrador, both of which calmly sat by our feet, eager for attention whilst we listened to the informative introduction speech. During the experience, guests are given a variety of different owl species to hold. A thick leather glove is provided, and a full safety talk given in order for you to be fully prepared for handling the birds. The owls are then introduced in size order, and for any Harry Potter fans out there, the first one that makes your acquaintance comes in the form of a miniscule owl rather like Pigwidgeon. This owl is officially a ‘little owl.’ Yes, that is the legitimate name of the species. This creature is small but perfectly formed and is a hit with visitors of all ages; especially when the falconer informs you that the owl is fully grown. He was gently and carefully handed around to each person in the group, with everyone being able to spend a few minutes of quality time admiring its breath-taking beauty up close and stroking its velvety soft feathers whilst it perched rather happily on our fingers. When the little owl is returned to the snug coop, eager guests are taken up the gravel path to a large flying field, where the rest of the owls from the falconry are grandly introduced. There is a haughty and proud tawny owl, a regal barn owl who was keen for his dinner, and an awe-inspiring European Eagle Owl with an entertaining squawk. As with little Pigwidgeon, each member of the group is given quality time with each owl, making the whole experience thoroughly good value for money. For all the Facebook and Instagram lovers, there is plenty of time to take photographs of the stunning creatures whilst they majestically fly and land on your gloved hand. However, the most important part of this day is being able to spend time absorbing the ‘moment’, enjoying the rarity of being within such close proximity to one of natures most beautiful and exquisite exports. Each owl has its own charm and personality, and this paired with the amount of knowledge gained and quality time spent with each individual owl makes for an incredibly worthwhile and simply unforgettable group activity. This magical experience is full of fun in a relaxed environment, and I have to say – owl definitely be back in the future. I’m sure you will too.